The Sun Ministries’ Opportunity Center utilizes sewing to bring opportunity to people locked in poverty. Our Sewing Center is a skill-building and employment center located in the inner city of North St. Louis. 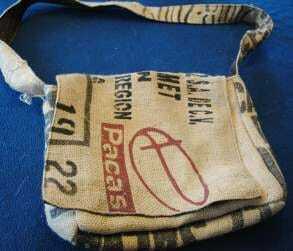 We use discarded coffee bean bags and repurposed fabric to produce fashionable messenger bags and purses. Through the production of these products we help single mothers, those recovering from addiction, the homeless, and ex-offenders to learn skills, earn income and break the cycle of poverty. The project takes in those with serious obstacles to self-sufficiency and helps them to earn income, improve skills and overcome the obstacles that hold them in poverty. We offer assistance in removing outstanding warrants, obtaining G.E.D.’s and driver’s licenses, and making plans to improve income and education levels to become more self-sufficient. A single mom can be trained in various aspects of sewing in our program. We can then supply them with a sewing machine and material so they can work from home. This overcomes the obstacle of obtaining childcare and opens opportunity that would otherwise be unavailable. Our project takes people where they are and works with them to achieve their goals. We do not limit our service to a set number of weeks. We will work with them as long as it takes to overcome their obstacles. 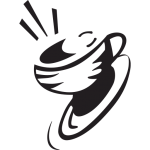 We divert around 4000 coffee bags and hundreds of yards of fabric from entering landfills each year. As we produce these products, we teach valuable skills to our participants and use the income to overcome obstacles in their lives and move them from welfare to self-sufficiency. The women can set up to work at home in some cases, which overcomes the obstacle of childcare that keeps so many locked in poverty. By helping the mothers we also increase opportunity for their children. The skills gained in the Sewing Center can help them to start their own micro-businesses. We assist them in all aspects of business training and start-up. We are located in a generationally poor area. Unemployment in our neighborhood is estimated at between 40-50%. Many that we help are hindered by a lack of education and transportation that prevents them from obtaining employment. Our project helps the hopelessly trapped to have hope and opportunity. By offering a work-at-home option we help young single mothers to become productive income earners and escape the welfare cycle. Our project relies on product sales to be successful. We are looking for resellers to distribute our products. We can benefit from donations of functional industrial sewing machines. We have many non-working sewing machines and could benefit from having someone with sewing machine repair experience visit us in St. Louis to repair machines. We need to have our staff trained in sewing machine repair and are willing to send them to another location for that training. We can use donations of black thread and rotary cutters. Cash donations are always helpful. Project Impact: Helping many single mothers and disadvantaged women in the inner city of North St. Louis.